setup and pay utilities or to buy furnishings: everything is included. - Fully remodeled - quiet tree lined street - private backyard. 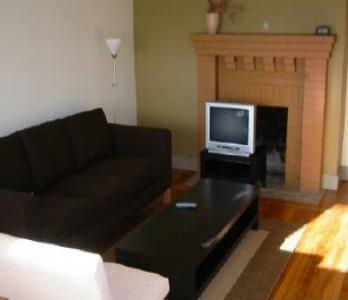 - 2 bedrooms (2BR) - one full bath (tiled) with tub and shower (1BA). water, trash, wireless high-speed internet, cable TV. to a hotel. Accommodates up to 4 persons. One block to Berkeley’s Bike network. is a minimum booking fee of $2000 - please inquire). * Payments can be made with credit card.